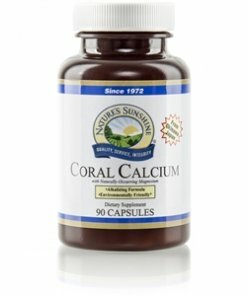 Nature’s Sunshine Coral Calcium supplies calcium to the body while maintaining normal acidity levels. The naturally alkaline coral calcium supports bone health and helps protect the bones from osteoporosis. 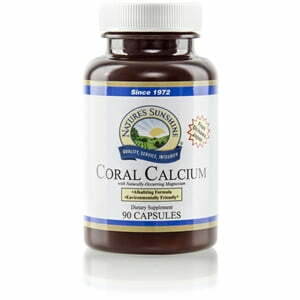 Each 325 mg capsule of coral calcium assists in maintaining bone integrity. Nature’s Sunshine Coral Calcium also includes 163 mg of magnesium as well as montmorillonite clay, a trace mineral that helps clean toxins from the digestive system. Cellulose (plant fiber), magnesium stearate, montmorillonite (full-spectrum trace minerals), gelatin, and water.